On the list of problems that legislators should be addressing, I don’t think this one’s particularly high on the list. It was something that Facebook has clearly heard about. And, in truth, it’s actually not a Facebook issue, per se. It’s an issue of satellites and geolocation, but it is something they are working to correct. I’m just kind of mind-boggled that Facebook can’t tell the difference between Camden and Philadelphia. That they can’t figure out which side of the river I’m on just bothers me. 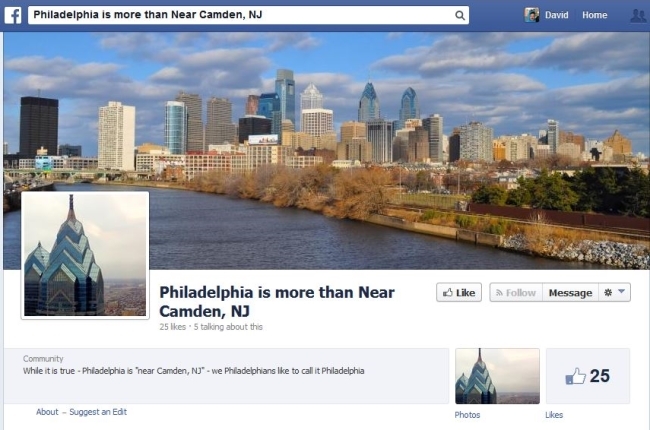 However, while the issue may be an irritant to some residents of the City of Brotherly Love, WHYY/Newsworks pointed out that a Facebook page dedicated to the problem, Philadelphia is more than Near Camden, NJ, had only 10 likes at the time of its post (up to 25 at the time of this post). Readers: Have you encountered any similar issues with Facebook geolocation and tagging? 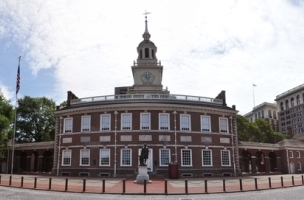 Independence Hall image courtesy of Shutterstock.